Tahoma Associates, 1545 Tacoma Avenue South. Artist: Mindy Barker. 2014. 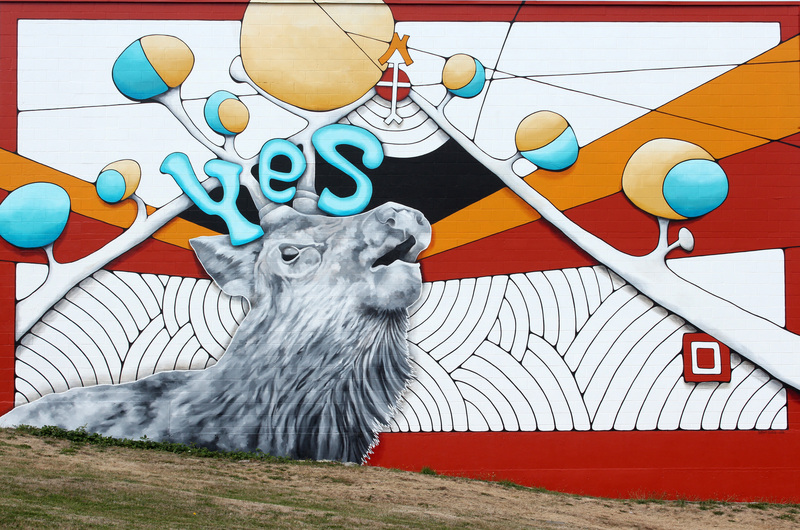 The City of Tacoma is now accepting applications from experienced artists or artist teams, working in any artistic style, to lead or assist with the design and implementation of outdoor painted murals in Tacoma in 2016 – 2018. Artists selected through this call to artists will be added to the 2016-18 Mural Artist Roster and may be selected for one of several projects, including murals with the Tacoma Murals Project and other mural opportunities. 6th Avenue Speed Wash, 1318 6th Avenue. Artist: Jeremy Gregory. 2014. Community groups approved for a mural in their neighborhood through the Tacoma Murals Project will select an artist for their site from the 2016-18 Mural Artist Roster, with a limit of one mural per artist. Approximately five mural sites will be selected in 2016. Murals at these sites will be painted in spring and summer 2016. 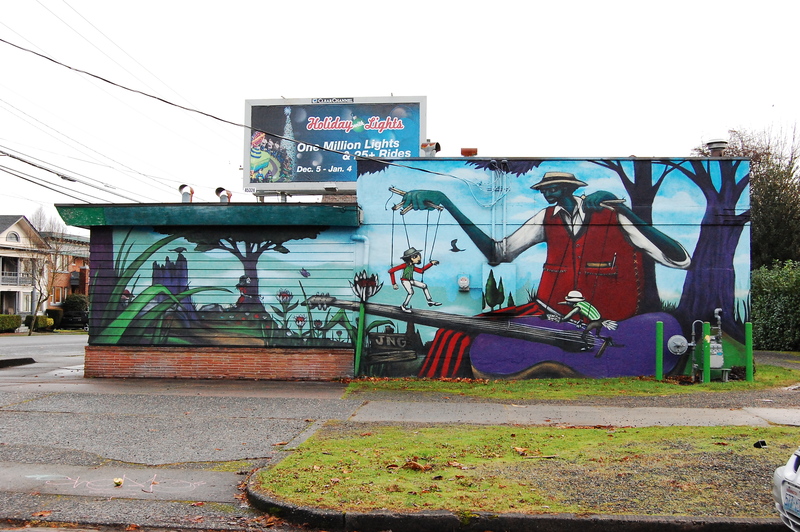 From time to time, the City of Tacoma may have additional opportunities to design and implement outdoor painted murals. The location, scale, timeline and needs for these opportunities will vary by project. When an opportunity arises, the City will consult the 2016-18 Mural Artist Roster to select a lead artist appropriate for the project. Detail of 43rd Street Bridge, E. 43rd St. & E. C St. Artist: David Long. 2013. Artists selected from the roster will work with the community to design and implement high quality, temporary, outdoor painted murals to strategically revitalize and beautify Tacoma. Mural designs will be based on the lead artists’ aesthetics and on input from the communities regarding themes or messages. Assistant artists will be paired with a lead artist, as needed. The City will provide mentorship to artists selected from the roster who do not already have extensive outdoor public mural experience. Tacoma Buddhist Temple, 1717 S. Fawcett Ave. Artist: Chelsea O’Sullivan. 2013. Photo by Chelsea O’Sullivan. Lead artists selected from the roster will be paid at a rate of $30 per hour for mural meetings, design and implementation. Assistant artists selected from the roster will be paid at a rate of $15 per hour for mural meetings and implementation. Applicants must be professional artists, 18 years or older, and reside in Pierce county. The deadline for submissions is midnight on March 7, 2016. 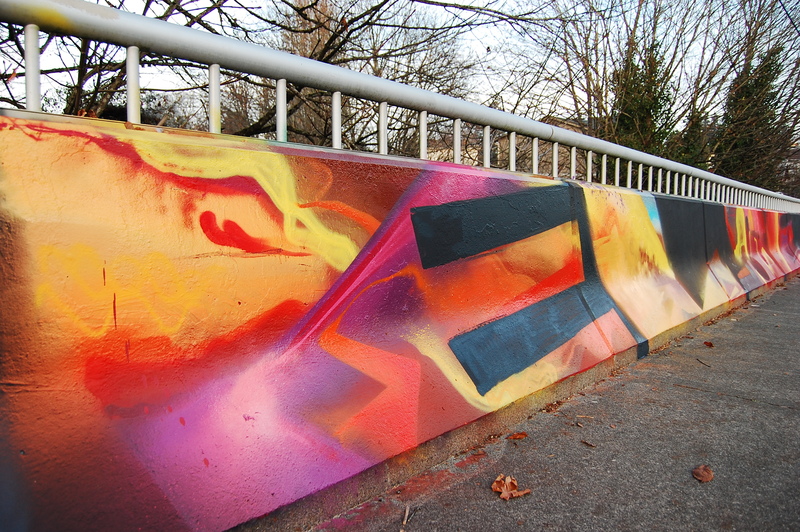 Twenty seven murals have been completed between 2010 and 2015. To see photos of these murals, visit the Completed Murals page on the City’s website. Full project details, and the application, is available online. For additional information, please contact Naomi Strom-Avila at nstrom-avila@cityoftacoma.org or (253) 591-5191. 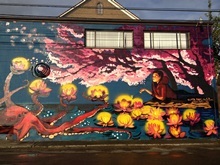 If you are part of a community group and have a specific outdoor wall in your neighborhood that you would like considered for a mural in 2016, please check out the companion Tacoma Murals Project Call to Community Groups. Applications from community groups are due by March 14, 2016. Reblogged this on Spaceworks Tacoma.